Writing games and writing platforms..
Much like my love of fiction books, I have been a gamer for basically as long as I’ve been able to be. I have no idea where it started, but the first time I really I remember playing games was at a pizza place back in Saint Louis called Pantera’s. I played all kinds of games back there, although I remember wasting way too many quarters in Rastan. Before that there was Spy Hunter and if we go back far enough, even Pole Position. I’m sure there was probably others before that, but we’re edging back to the limits of my memory, I’m not *that* old after all. At the time I was playing these though, it hadn’t yet occurred to me that there were people who actually created these wonderful things. Sure, it seems obvious in retrospect, but at the time I was a young kid, I probably would have believed that unicorns and fairies made the games I loved. I knew there was some kind of a computer in there, and that’s what I wanted, but we were quite poor at the time and couldn’t afford one. Luckily, my mother saved up for a year and she was quite excited to finally give me a computer for Christmas one year, and boy was I excited to get it. It was an amazing piece of hardware called the TRS-80 (that has a nickname now of “trash 80”, but I didn’t care, it was a real computer). Looking back at that now, it’s kind of funny, the very first thing it said when you turned it on was Microsoft (MS did the BASIC for the system). Who would have thought that 15 years later I would actually be *working* at Microsoft, the computer had given me an inspiration I didn’t even realize. The system came with the BASIC mentioned above and it was fascinating to me. I could type things and stuff would happen. I devoured the few “tutorials” in the book that came with the system and was anxious to find anything more I could. I started out probably the way many kids back then did, by copying huge chunks of text out of a magazine, not necessarily understanding what was going on, but being amazed by the results. Well, after running it the first time, realizing it was broken and then spending hours painstakingly trying to find the single spot I had messed up typing. With that I knew what I wanted to do when I grew up. I would write games, and despite not even being a teenager yet, I was going to write the best game the world had ever seen. It was here that I learned a very powerful lesson; that being that writing a game was hard. I wasn’t even remotely qualified to do this. I spent the next several years learning how to be a developer in general, always thinking of games in the background, but learning the basics. I learned new languages, being fascinated by the power of Pascal before migrating to C, and then discovering Visual Basic and realizing that as a development language, this was the beginning of a boon to developers everywhere. It had a low barrier to entry and could explode at any time. Now, I still wanted to be a game developer, and I still didn’t think I was qualified to be one, so it was then that I decided what better way to become qualified than by opening up game development to the masses and help *everyone* become qualified. By now, I was already working at Microsoft and migrated over to the DirectX team and began a project that intended to bring the power of DirectX to Visual Basic. I’ve told this story many times, so I’m sure everyone knows by now that DirectX for Visual Basic turned into DirectX.NET which turned into Managed DirectX which turned into XNA. By the time I looked up I realized that I had been writing platforms for an entire decade, and still not writing games. That’s when I switched. I moved over to Microsoft Studios (then Microsoft Games Studios) and started making games. So here we are now, a year and a half later. What have I discovered? Despite both of them being writing code, and actually, even somewhat related code, the two activities are so very far apart. There are so many things you need to take care of for a platform (such as robust parameter validation) that you simply don’t need to worry about in a game. On the flip side, writing games has extra constraints you just don’t see on the platform side such as game designers. Ok, sure, you could argue that program managers help define the “mechanics” of APIs much like a game designer helps define the “mechanics” of the game, but once the program manager has defined the mechanics, she is done. The game designer must also make those mechanics fun. There’s so much more creativity required when writing games as well. Sure, there is some creativity in designing API’s and functionality and feature set on a platform, but it’s not nearly the same magnitude. Actually, I suppose that isn’t fair, there is a lot of creativity in developing a platform, just not the type of creativity that excites me the way writing a game does; coming up with narrative, etc. It’s also taught me that despite spending a decade making game development easier to do, I still have so much to learn. I would feel comfortable developing a platform completely on my own (hell, I have done it before), while I’m not sure I could say the same thing about writing a game. The work game designers do (and the way in which they think about things) is a skill I need to learn, and I’m thankful I have the opportunity to learn from a group of people who are amazing at what they do. Some of my coworkers have done design work on some of my favorite games of all time such as Command and Conquer; Gears of War; Alan Wake; Dungeon Siege; the list goes on and on. That isn’t to say that I worked with less amazing people before (I’m sure everyone knows who Shawn is, which would disprove that), it’s just a different type of awesome. Developing a platform, the cool things we normally get to see could best be described as tech demos, and while they’re amazing in their own right, you normally have to wait for your customers to write something awesome to fully realize your initial vision. If there was one thing I missed about being on the platform team it was the intimate knowledge of what was coming next. I just don’t have that anymore, and it is frustrating. I wish someone would say something about XNA and Windows 8 just like everyone else does. However, for where I was in my career and my life, making the transition to making games was definitely the right move for me. I can flex my creative juices and expand in the areas I am weak in. It’s nice to realize that your dream job at eleven can still be your dream job at thirty six. Author MillerPosted on November 1, 2011 Categories Game Programming, Programming, Ramblings, XNATags game programming, XNA1 Comment on Writing games and writing platforms..
With all of the spare time that I don’t seem to have, i’ve been working with Azure a bit for a personal project that I’m not going to go into much detail about (yet). Well actually, I suppose that isn’t fair. Initially I started simply using the hosting I have on this site to do some simple stuff before I quickly got annoyed with it. I didn’t need a web host, I needed some real cloud computing. I briefly looked at Google’s App Engine and Amazon’s AWS before figuring since I work at Microsoft I should probably just dive in with Azure, so that’s what I did! Once I got over the initial system shock of “what on earth is all of this stuff” and followed through a few examples, I was actually pretty pleased at how simple getting something up and running was. I had downloaded and tried the Azure SDK quite a while back in beta (before we announced it) and it was hard to use, the docs were non-existent, and no samples existed at all. I was completely lost and gave up on it until recently. While I can’t speak for the SDKs for Google or Amazon, the Azure SDK has improved leaps and bounds now and it finally started making sense! It took me basically a week to write the underlying infrastructure for what my side project wanted when I was using this hosting environment, and a large portion of that was trying to remember SQL, and writing stored procs. I made the equivalent Azure worker role in about a day and didn’t have to write a single SQL statement (unless you count some LINQ in my role, which I don’t) or stored procedure! I also didn’t have to worry about transactions or any of that painful stuff! One thing that I guess makes me naive is that I was surprised at the potential cost for even the simplest of things! For example, a “small core” on Azure costs $0.12 per CPU hour (and CPU hour is measured by the amount of time the application is deployed). This means for a single core, for an average month you’re looking at $0.12 * 30 days * 24 hours = ~$86. Worse, it’s recommended you run at least two instances, and you have to if you want the “guaranteed” 99.99% uptime. Since each instance is another core, basically double that cost so $172 per month to run your application in the cloud. You can get 3+ years of web hosting for less than that. That’s just the CPU cost though, you end up paying for storage as well! At first, storage “sounds” pretty cheap. You pay $0.01 per 10,000 transactions which sounds super cheap, but that adds up as well. In most of the samples for Azure you’ll notice that in the run method it will essentially check for messages in a never-ending loop to see if there is work to do, and will normally check these messages about once every five seconds. The act of checking to see if a message exists is a storage transaction though! Checking every five seconds is 12 times per minute or 720 per hour or 17,280 per day or 518,400 per month or an extra 51.84 pennies per month. Ok, so that isn’t all that expensive I guess. It does start to add up though, and there is an extra $0.15 per gigabyte of data you’re storing.. So a million transactions a month storing 2gigs of data is an extra $1.30, not terrible. Now, I’m sure that large companies needing cloud computing find these prices to be quite acceptable (the Azure prices seem to be similar to the prices offered by Google and Amazon), and I actually don’t mind them too much, but they do seem to be a decent chunk of change for a developer just starting out. I guess I was just expecting prices to be similar to hosting prices so was surprised by the costs I saw. It’s hard to believe that over ten years ago I joined the DirectX team with a goal of making game development easier. Back then, being a game developer was a relatively “exclusive” club. The barrier to entry for developers who wanted to make games was very high in all aspects. My first goal was to make the act of writing the code itself to be simpler. DirectX is very powerful, but was quite esoteric if you didn’t use it every day. At the time, it was C/C++ only as well, and while these are great languages the fact was that Visual Basic developers (C# didn’t exist at the time) outnumbered them five to one (at least). Over the next few years many VB (and some C/C++) developers migrated to C#, DXVB became Managed DirectX, which in turn morphed into XNA Game Studio. Through each of these iterations the act of writing the code for a game became easier and easier. If my only goal was to make writing code easier, then by any measure I can think of I accomplished this goal, but it wasn’t. I wanted to expand beyond the PC as well, I wanted to allow every day folks to write code for their home consoles, and in 2006 (with the first version of XNA Game Studio) that goal was accomplished as well (followed by the ability to publish and make money a year later). People don’t think much about it now, but that was huge back then. Nowadays it seems every device has a public marketplace and an ability for anyone to write apps and make money from them (and you would dismiss them if they didn’t), but it wasn’t the landscape in 2006. It was all of these “successes” that prompted my exodus away from the XNA team and into a game studio in 2010. I felt I had accomplished all of the goals I had in lowering the barrier to entry for game development and wanted to move on to my passion of actually creating them. The release of Beards and Beaks has given me a bit of time to be introspective somewhat (which isn’t to say I’m not busy, but still). For all the successes that we’ve had though, the simple fact is that today, halfway through 2011, game development is still hard. In some ways, I would argue that it is actually even harder today than it was when I started, albeit for completely different reasons. While we certainly helped remove some of the barriers to entry over the last ten years, we didn’t remove them all, and we’ve actually added a few new ones. For example, it’s still extremely difficult for an up and coming game developer to hook up with an artist, just as it’s hard for that artist looking for things to stick in their portfolio to find a developer. People are still confused about what a good “game idea” is. Actually, that’s a good enough side track that I need to break off for a moment for a mini-rant. I swear if I hear one more person tell me that they have a great idea for a game, and then begin describe some story I’m going to scream. In the majority of cases, the story is not what is going to make or break your game (and invariably when someone is describing a “game idea” to me in this fasion, they are not in the minority where it matters). You need to know what game mechanic makes your game interesting. Even in story heavy games, the game mechanic is what makes your game most times. If your game idea is essentially “all the game mechanics of Gears of War with a different story”, this isn’t a good idea. Sorry, with that rant out of the way, I’ll continue. I believe the barrier to entry for a budding game developer is so low now that the real problems are no longer “how do I make games”, but instead “how do I stand out in the crowd”. The barrier is no longer to entry, the barrier is now to recognition. How can your shining gem of a game rise above the cess pool of thousands of terrible games? If you ask me, this is an even harder problem to solve, and despite rambling on for all this time so far, I’m not about to say some magic incantation that solves it because truthfully, I don’t know how. Sure, I have some ideas which I’ll go into presently, but I have no delusions that they are a sure-fire way to success. First, as I alluded to above, you need to have a good mechanic (and a fun game). If you’re trying to make a rip-off of Gears of War, well stop it because you’re not helping anyone and just adding to problem. Now, that isn’t to say that taking a formula that works and improving it is a bad thing, but don’t try to copy something whole-sale unless you can do it better. You want to make a game that’s like Gears of War but includes the ability to turn into a dinosaur and eat folks? Awesome! You want to make a copy of Gears of War with a budget of $30 and a diet coke? Get out of here. When I say taking a copy of a game and making it better, what I really mean (most times) is “polishing” the game. The term is a little weird to begin with, but basically what it means is that the game looks and feels professional. It’s hard to describe, but you can see it when it’s there and will miss it when it’s not. People think that polish doesn’t matter as much, but in reality it matters probably more than anything. Consumers can tell. Angry Birds is like a printing press that spits out money, but it isn’t an original idea or anything. The exact same game came out years before it, but that game was unpolished and forgotten to the sands of time. Rovio took the basic idea, polished the hell out of it and have made more money than they know what to do with. Of course, once your amazing game is out, you then need to market yourself. I feel a bit sorry for the single guys (or small teams) in this regard. At Microsoft, we have entire marketting teams, and it’s still a difficult proposition! I hope one day soon to talk more about this and some ideas I have, but right now this post is already way longer than I was intending it to be. As the title says, game development is still hard.. I suppose I have a lot more work to do.. If you follow me on twitter or the like, you may have heard by now that my latest Windows Phone game was just recently released called Beards and Beaks! I’m pretty happy with how the game has turned out, and thus far we’ve gotten pretty positive reviews with an average of four stars, and a large amount of the negative reviews were due to the fact that you can spend money beyond the actual cost of the game (which I can understand the reluctance there). We had a lot of things we wanted to accomplish with this game, and while it isn’t perfect (what game is?) we did get the big ticket items we wanted in there! We wanted to come up with a game mechanic we hadn’t really seen before that worked well on the phone, and we wanted to enable premium downloadable content on the device. Based on the reviews so far, I think it’s safe to say we accomplished the former, and the latter is pretty easily quantifiable, so I feel really good about how the game ended up! There are also a lot of misconceptions though, or features people are just unaware of! One of the biggest complaints I see in the reviews is that people think that you have to spend actual money to use the mushroom powers, which simply isn’t true! Now granted, you certainly *can* spend money to use these powers more frequently, but your mushroom power bar slowly refills over time. If you played once a day, you would notice that every day you would have a new full mushroom bar! We also have quite a few more leaderboards than it seems most people realize. When you click the leaderboards button on the main menu you will see three leaderboards at first, but did you know the list of leaderboards at the bottom is scrollable? There are quite a few different leaderboards you can see if you scroll that list down! That isn’t even the start of it, every single level in the game has two leaderboards as well (best score and best time)! If you click the button next to the score or time on the level information tab, you will be taken to those leaderboards! We also have quite a few levels. There are thirty in the base game when you first download it (seven in the trial), and another 15 in the first level pack (which is absolutely free)! Which brings the number of levels for free up to 45. There’s also currently another premium map pack available for $1 (another 15, up to 60 levels), and that isn’t the last map pack the game will see! 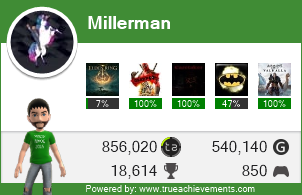 Anyone who’s seen my gamertag probably realizes that I love Xbox 360 achievements, and if you’re like me, you’ll be happy to know that getting all of the achievements in this game won’t be a lesson in frustration! It’s possible (albeit unlikely) to get every one of them in your first playthrough of all the levels if you know what you’re doing (and get a little lucky)! I’m also giving a performance talk at Gamefest in Seattle next month in which I go into the nitty gritty details on the performance gotchas we ran into during development of the game, along with how I found them, and what I did to fix them. The title of the talk is “Performance Patterns and Pitfalls for Windows Phone Games” if you want to find it in the list! If you are going to be at Gamefest come find me to chat! Maybe by then someone will know what a Bleego is. Author MillerPosted on July 18, 2011 Categories Game Programming, Gaming, Programming, Windows Phone 7, XNATags games, wp7, XNA1 Comment on Beards and Beaks! Sometimes I don’t understand book reviews..
Not that I have any complaint about them, it’s just odd. For example, my latest book only has a single review, but the review is glowing and the best it could be. Now, I naturally don’t know how other books are doing, but I am a little obsessive compulsive, so I do watch the average Amazon sales numbers, and compare them to how my book has been doing. Generally, in the category the book is in, we do very well (which is awesome), yet I see other books doing much worse in the average sales with many more reviews and I wonder why? Does their publisher try to prime the channel with reviews? Pay people to give reviews? Maybe those books just give people the overwhelming need to tell others about them, where ours does not? I also know that our book isn’t perfect, I’ve seen mistakes in there. I’m curious though, what do you think about the book? Like it? Hate it? Author MillerPosted on March 30, 2011 Categories Books, Game Programming, Programming, Ramblings, Windows Phone 7, XNATags books, XNA2 Comments on Sometimes I don’t understand book reviews.. So it seems that it was annouced today that XNA is coming to Visual Basic! I have to admit the announcement caught me a bit by surprise. As one of the people who has had to investigate (at various times) what it would take to make this happen, I have no idea where the team has gotten the time to do this! As the article says though, it was one of the most popular feature requests I can remember though so it’s good that it’s finally happening. Wish there was more information though. For example, when is it coming? Is it coming on all the platforms, particularly Xbox? The picture in the article implies it will, but that doesn’t necessarily mean anything. I know they said to wait a few months, but given people have been waiting for literally years at all, I wish they would have waited until they could give us all the information rather than teasing it early when they cannot. Although, I suppose I could be in the minority in thinking that. Some folks just like be teased and waiting a few months. Author MillerPosted on March 27, 2011 Categories Game Programming, Programming, XNATags game programming, XNALeave a comment on Visual Basic for XNA? Well, Gamefest started today, and with that our team blog posted a new announcement. Exciting stuff! I also realize I rarely update this blog. I’d love to say that I’m working on improving that, but the truth is, aside from being busy, I have I guess what you’d call “writers block”. Nothing interesting to really talk about work related that isn’t being covered by someone else. I’ve considered switching to the Live Spaces thingy and writing more often, but it wouldn’t be anything like the things I write here, and I can imagine the few readers i have left aren’t overly interested in the ramblings of whatever i’m thinking about at the time. Besides, i’m sure most of that stuff would simply get me in trouble anyway. Managed DirectX – It’s not just games.. So here at Microsoft, we have this thing called a ‘buddy program’ which you can read more about at http://msdn.microsoft.com/isv/isvbuddy/. I’m signed up for this program and have a ‘buddy’ who works for a company (I assume in Germany) doing Managed DirectX work (amongst other things). (Sorry, I only have time for one ISV buddy, so don’t go signing up hoping to get assigned me unfortunately). The site itself is in German, so if you don’t speak that, google’s translater seems to do an adequate job. The third video is the most relevant to MDX. Author MillerPosted on January 18, 2006 Categories Managed DirectX, ProgrammingLeave a comment on Managed DirectX – It’s not just games.. Author MillerPosted on February 28, 2005 Categories ProgrammingLeave a comment on Interested in working on the Parental Controls system for the next version of Windows?